Abu Dhabi Pottery was the first modern pottery and ceramics studio established in the UAE. The pottery studio holds regular workshops, has an open studio for members to use, and is also a material supplier of all kinds of pottery and ceramic products. Kiln size is approximately 60 x 60 cm. Different membership options are available for clients interested in using the facility. Special commissions can be discussed for short run bespoke pieces. Raku pottery firing is also possible depending on the size of order, availability, and time of year. All of the materials that are available are imported from UK suppliers. Abu Dhabi Pottery also offers studio layout consultation services. 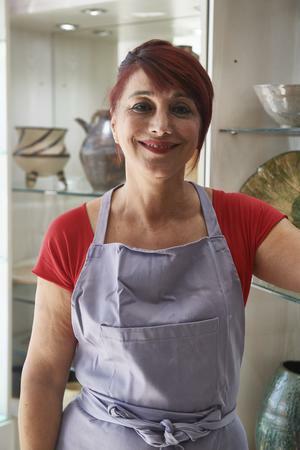 Abu Dhabi Pottery was established in 1994 by Homa Vafaie Farley to share her love of pottery, and to introduce all kinds of students to the techniques and the enjoyment of working with clay.